In 2009 an EAB member by the name of mai came across an unreleased game called 'Marco! ', created by Thrustware - Kaiko for the Amiga. It was uploaded to the EAB Zone and is classed as a jump and shoot platformer and was coded by Kai Marcel Teuber, graphics by Marc and music/sfx by Rainer Schef. 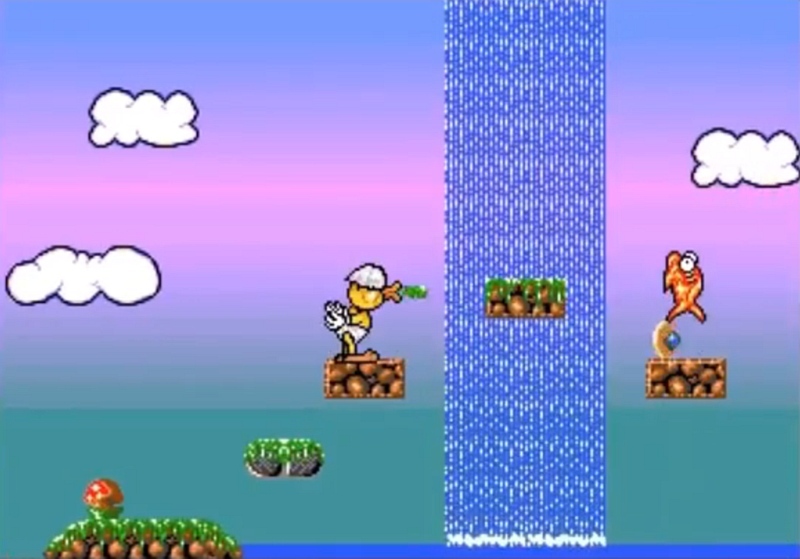 In the game you play a duck that must traverse across a platform landscape, while wearing a diaper and shooting gobs of green out of your beak against enemies such as fish and flying insects! Once again as a heads up by Per-Ola Eriksson, he has shown us via this new video what the game is like in terms of the overall gameplay, sound and music. To be honest it doesn't look too bad and as one member by the name of s2325 said " Great atmosphere, playability and sound fx. Good music (somewhat odd) and graphics and A500 is enough ".